At 353 Bird, at least two tenants suffered the same leak from what they believe is a second-floor toilet into the dining room. A landlord working with Buffalo State College to build off-campus student housing has a history of renting apartments with leaky ceilings, electrical hazards, and insufficient heat. Take 353 Bird Avenue, for example. The ceiling in the downstairs dining room has been stained for a couple of years from a leak that tenants believe comes from an upstairs toilet. The ceiling has collapsed on at least two tenants during that time, including Elizabeth Coffie. “It looked like colored rain and the smell was awful,” she said. Elizabeth Coffie says the ceiling leak at 353 Bird went unfixed for a year. Rather than fixing the problem, she said, the landlord simply replaced the ceiling tile. The same thing happened to the next tenant. The apartment now is occupied by yet a third renter, who recently pointed out a stained ceiling tile in the same spot. These tenants aren’t the only ones who have criticized Greenleaf & Company and other entities owned by James Swiezy. Interviews and a review of public records show that Greenleaf companies have a history of not paying bills to contractors or taxes on time to the city, state, and federal government. Nevertheless, Greenleaf has gained the cooperation of Buffalo State College officials and the endorsement of Mayor Byron Brown and Housing Court Judge Patrick Carney for a plan to level much of a city block and build a 308-bed student housing project next to the school. Interviews with more than 30 current and former tenants, contractors, employees, and business associates, and a review of hundreds of public records, show that Greenleaf and other entities owned by Swiezy have a checkered business history. Greenleaf residential properties have been the subject of more than 100 complaints lodged with the city’s “311” call resolution center, 20 prosecutions in Housing Court or code violations, and three complaints filed with the state attorney general. Some of these problems date to the 1990s, but most are within the past decade. Numerous tenant complaints that Greenleaf failed to make repairs and withheld security deposit refunds. More than 70 former tenants have gone so far as to take Greenleaf to Small Claims Court, usually seeking the return of security deposits. City, state, and federal officials over the years have taken action to collect more than $400,000 in unpaid property, income, and payroll taxes owed by Swiezy or his companies. At least a dozen contractors filed lawsuits or mechanics liens in an effort to collect more than $300,000 in unpaid bills from Greenleaf companies. “You are focusing on a very small subset in relation to the total number of tenants we have. With very limited exceptions, Greenleaf’s vast number of relationships across the board have been without incident or controversy,” he wrote. Many former tenants describe Greenleaf in a different light. “The fixtures were hot-glued on the walls, pieces of carpet were peeling up, the bathroom fixtures were falling off the walls,” said Corey Mills, who vacated Greenleaf’s apartment at 731 Ashland Avenue a year ago. Swiezy entered the real estate business in 1986. He owns more than a dozen limited liability corporations. His wealth has afforded him a red-brick Georgian Colonial house on Lincoln Parkway worth more than $1 million. Greenleaf companies own a quarter-million square feet of commercial space, including the Bosche building at 916 Main Street. In October 2013, the Erie County Industrial Development Agency awarded the Bosche project $255,000 in sales and mortgage tax abatements. Most of Greenleaf’s properties are apartments, boarded-up houses, and vacant lots. Its approximately 700 rental units range from what Swiezy calls “luxury apartments” at 1040 Delaware Avenue to more modest flats near Buffalo State. Most of Greenleaf’s properties are in the city’s West Side and Elmwood Village area—locations that attract college students. Consequently, many of Greenleaf’s tenants are young adults willing to live in basic apartments for the affordable rents. Nevertheless, Greenleaf’s renters do complain—quite often. Successive tenants of 353 Bird Avenue said they suffered through plumbing problems that Greenleaf never adequately fixed. What tenants said was toilet water had poured from their dining room ceiling. Both former tenants mentioned other problems, too, such as rodents, insufficient heat and a spongy bathroom floor caused by water damage. But the ceiling leak was the last straw. Swiezy characterized the ceiling leaks as a “small drip” that he eventually resolved. “Troubleshooting a plumbing leak can be challenging, especially one that shows up every few months,” he wrote in an email response. Former tenants of other Greenleaf apartments have made a litany of complaints to city inspectors that include holes in the walls and roofs, crumbling ceilings from water damage, birds nesting in the attic, and animals crawling inside walls. “All they did was put down cardboard over it and we moved out soon after that,” said Summer Oliver, the former tenant. Indeed, a June 30 city inspection report cites numerous code violations, such as no working smoke detectors and malfunctioning electrical outlets. 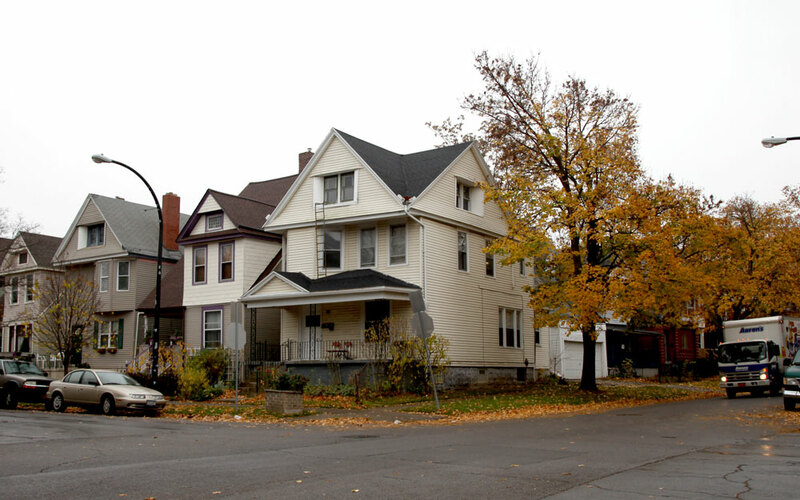 A former tenant of 241 West Utica Street filed a complaint in February with the attorney general seeking a half month of rent restitution due to lack of hot water. The complaint, whose name was redacted, states that Greenleaf used a propane tank with an attached heating element to thaw pipes. The Buffalo Fire Department told the tenant that “if the propane tank leaked and my furnace had turned on it would only be a matter of time before an explosion,” the complaint stated. At least one of Greenleaf’s properties had a serious lead paint problem. A January inspection report by the Erie County Health Department cited 17 lead paint hazards inside and outside the white, two-story, wood-frame house at 134 Rees Street. Public records show the house is owned by one of Greenleaf’s companies. Swiezy denied having knowledge of the circumstances at 134 Rees, which he had demolished in August. The complaints by tenants go beyond their living conditions. Tenants have a history of security deposit disputes with Greenleaf. Numerous reviews on Yelp and Google and complaints filed with the Better Business Bureau and the state Attorney General illustrate this problem. Jason Parker is a former Greenleaf tenant at 29 Bryant Street who left a negative review several months ago. In an interview, he said his apartment had sporadic heat and his bathroom ceiling started to collapse from a water leak. “It took forever to get repairs taken care of,” he said. Jason Parker says his place at 29 Bryant had sporadic heat and his bathroom ceiling started to collapse from a water leak. Parker said he left his apartment spotless at the conclusion of his lease and has pictures to prove it. But when he moved out this spring, Greenleaf docked him $155, saying he failed to “thoroughly” clean the stove, living room floor, and bathroom. When Parker contested, he said Greenleaf’s human resources and property manager offered to return the remaining deposit only if he removed his negative online reviews. “It doesn’t sound very ethical at all and I told them I was not comfortable doing such,” he said. A Better Business Bureau complaint filed by a former tenant in May 2014 states Greenleaf withheld all but $65 of her $450 security deposit to clean the apartment and appliances. The address of the apartment in question is redacted by the BBB. “One of their complaints that carpets where [sic] in need of cleaning and I will say again, there were NO CARPETS IN THAT APARTMENT,” the former tenant wrote in the complaint. Similarly, Ron Heichman only got $295 of his $800 security deposit returned last year from his apartment at 29 Bryant Street. Some of the charges included $95 to sweep the apartment, $80 to clean a “very greasy” vent hood, $70 to clean the refrigerator, $120 to patch a bedroom and bathroom wall, and $110 to clean the bathtub. However, a video that Heichman recorded at the conclusion of his lease appears to show each of these items to be clean and undamaged. He contested the charges, but Heichman said Greenleaf refused to send him evidence of the damages they say he caused. The dispute remains unresolved. Swiezy said such disputes are uncommon. Former tenants, however, have filed at least 74 Small Claims Court cases against Greenleaf since the late 1990s. Many of the disputes deal with security deposits. But cases involved other issues, as well. Yelp, a popular business review website, has also taken exception to Swiezy on occasion. Clearly, Greenleaf is concerned about the negative reviews. Company officials had offered tenants a chance to win free water and garbage service in exchange for positive reviews on Yelp, according to a May 2015 Greenleaf flier that Investigative Post obtained. Subsequently, positive reviews began to appear on Yelp. Since in business, Swiezy and Greenleaf companies, between them, received notices from federal, state, and local governments claiming more than $400,000 in unpaid taxes. Multiple properties in Kenmore owned by Greenleaf Partners 1 LLC fell $206,000 in property tax arrears in 2002-2005, according to Erie County Clerk records. In the late 1990s, Swiezy paid $65,000 in delinquent property taxes to stave off the foreclosure of at least five properties held in his name, city records show. In the late 1990s and again in 2005-2006, the federal government filed a total of $107,000 in liens against Greenleaf companies for unpaid payroll taxes, county clerk records show. In the late 1990s and again from 2002-2005, the state filed almost $29,000 in tax warrants against Greenleaf companies for unpaid unemployment insurance, franchise, and income taxes, county clerk records show. Swiezy is estranged from two former business partners. One of them, Paul Kolkmeyer, filed a lawsuit against Greenleaf in Erie County Supreme Court in 2012. Kolkmeyer, former chief financial officer of First Niagara, accused Greenleaf and Swiezy of ”manipulating accounting records” and breaching fiduciary duties by “diverting and misappropriating funds” from their shared account to businesses solely owned by Swiezy. They settled the lawsuit out of court. Kolkmeyer declined to comment. “In the business world, it’s not unusual for disagreements to occur when some terms are open for interpretation or do not specifically address the matter at hand,” Swiezy said of the dispute with Kolkmeyer. In addition, since the late 1990s at least a dozen contractors, from building suppliers to roofers to plumbers, have filed mechanic’s liens, civil lawsuits, or small claims actions against Greenleaf companies. Almost all charge that Greenleaf companies failed to pay for work that ranged from $700 to $176,000. Not all contractors and tenants have had bad experiences with Greenleaf. In his defense, Swiezy provided Investigative Post a list of tenants and contractors to contact for positive experiences with Greenleaf. “I think Jim is a very smart and intelligent businessman and he has always treated me fairly,” said Roger Hoffman, owner of the heating and cooling company Northeast Mechanical. Rob Niemiec, of Niemiec Building Supplies, said Swiezy is a good customer. “He has always paid,” Niemiec said. Some tenants are likewise content. “They’ve been great to me,” said Jackie Silverberg, who rents 547 Grant Street with her husband Thom, who does occasional labor for Greenleaf. However, the house she rents was cited September 21 by inspectors for three code violations, which have since been repaired. In addition, former tenants at this address filed four complaints since 2011, involving, among other things, mold, leaky plumbing, and rodents. Buffalo State and city officials are supporting Swiezy’s project despite Greenleaf’s history. Hal Payne, Buffalo State’s vice president of student affairs, said the college’s Committee on College and Community Relations has never received complaints about Greenleaf. “That doesn’t mean that there aren’t problems, because students generally don’t come to us with their concerns about their dealings with offsite landlords,” he said. Unlike the University at Buffalo, Buffalo State does not participate in a city program to inspect off-campus student housing, said James Comerford, commissioner of the city’s Permit and Inspections Services department. “I think they didn’t feel that the same problems existed in and around their campus,” Comerford said. So comfortable that the college plans to swap three parcels with Greenleaf that assists Buffalo State’s plans to build an alumni house and visitor center. In addition, Buffalo State will deed Greenleaf two properties on Hawley Street in exchange for asbestos remediation and demolition of two of the properties the college will obtain, Levine said. The city Planning Board in September approved Greenleaf’s student housing project. The Common Council needs to approve a rezoning for the project to move forward, however. About a dozen homes on Rees Street and Grant Avenue have already been demolished. Two five-story buildings with retail space could be finished by spring 2017. Both the mayor and Carney, the city’s housing court judge, have expressed support for the project. “We didn’t see any issues that were of great enough concern not to support the project,” said Brown, after a reporter briefed him on Greenleaf’s history. Carney spoke in support of Greenleaf’s project at a community meeting in July, according to three people who attended. Carney’s wife, Carrie, worked at Greenleaf for a decade until leaving last year. “He absolutely spoke in favor of the project,” said Charley Tarr, who attended the meeting. “It was a ‘fasten your seatbelts, we are going to finally create progress’ sort of pitch to the public,” he said of Carney’s comments. When asked by Investigative Post about his comments, the judge launched into an expletive-laced tirade before slamming down the telephone. Carney, who received a $1,000 donation from Swiezy in February 2014, said he recused himself from any of Greenleaf’s housing court cases. However, Carney this year signed demolition orders for three Greenleaf housing court cases at 132 and 140 Rees Street and 549 Grant Street. Swiezy had never been much of a political donor until recently. But in the past two years, he has donated $4,000 to Brown; his wife gave the mayor $1,000. Brown said the donations had nothing to do with his endorsement of the project. “I think that neighborhood is under a rebirth and I think the plan that Greenleaf has for student housing and retail will certainly help stimulate the rebirth,” the mayor said. But Parker, the former Bryant Street tenant, said he is uncomfortable with the prospect of Greenleaf owning and operating student housing without safeguards. “Buffalo is a huge college town and I just can’t sit by and watch all of these college students get taken advantage of,” he said. Watch WGRZ-TV 2 On Your Side’s two-part series on Wednesday, November 11 and Thursday, November 12 at 6pm or at wgrz.com. 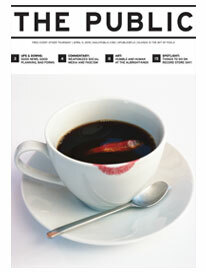 And find extras and updates Thursday and Friday at investigativepost.org. Investigative Post is a non-profit investigative reporting center focused on issues of importance to Buffalo and Western New York. Its partners include The Public, WGRZ-TV 2 On Your Side, WBFO 88.7 FM, and The Capitol Pressroom.